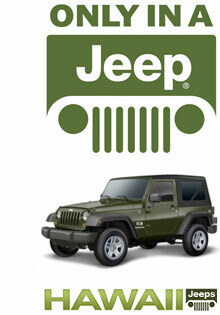 Reserve a 2 door Jeep Wrangler or a 4 door Jeep Wrangler Unlimited for your visit to the Islands. We search for the "Best Rate" we can find and lock-in that rate for you. After sending the form below you will receive an instant confirmation and have the chance to book a Jeep for this, or another island. Remember, you may cancel or change at any time. No penalties or charges will be assessed for those who cancel. * Please enter your required info to avoid an error response. After submitting this page you will be asked if you would like to book another Jeep.